Ever wonder what it takes to become a foster parent? If so, please join us for a free foster care orientation. 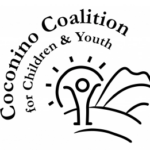 Orientations are held the 2nd Tuesday of every month 5:30-6:30 at Pathways of AZ. Stewards of Children is a prevention training program that teaches adults how to prevent, recognize, and react responsibly to child sexual abuse. The program is designed for organizations (policy makers, staff, and volunteers) and families concerned about the safety of children birth-18 years old. It is the only nationally distributed, evidence based program proven to increase knowledge, improve attitudes, and change child protective behaviors. SB 1166 – Permanent Guardianship; Subsidy is on the Senate Health and Human Services agenda for Wednesday, 1/31 at 2pm. The deadline is approaching for our Caring For Children Award nominations. The person you thought of – fill out the form for them. This is a tremendous honor and will be a great experience for all winners, but they can’t win if you do not nominate! Save the Date – Annual Child Abuse Prevention Conference! Conference – Includes morning Keynote and Plenary sessions, full luncheon program (which can be purchased separately), and afternoon breakout sessions. Join us as we explore themes such as intergenerational and historical trauma and move towards strengthening the community to address these issues. Education certificates will be provided for attendees. Luncheon includes the annual Caring for Children awards and presentations. Steve Pemberton, Chief Diversity Officer, Walgreens Boots Alliance, and best-selling author, will be the first NAU President Rita Hartung Cheng’s Distinguished Speaker Series guest at 8 p.m. Friday, Jan. 26 at Prochnow Auditorium, Northern Arizona University. Pemberton’s story is about defying seemingly insurmountable odds— overcoming abuse and neglect as an orphan in foster care to become a trail-blazing corporate executive, enlightened diversity leader, visionary youth advocate and acclaimed speaker. 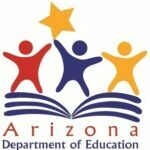 Arizona Department of Education is hosting a free regional training on self-regulation in Flagstaff!